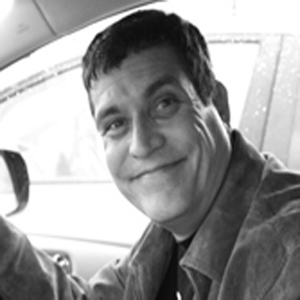 The USA’s largest motor club rolled out their roadside assist program to reduce range anxiety of electric vehicle owners back in 2011. 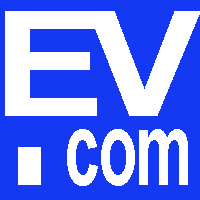 AAA’s online triptiks update nightly and depict EV charging locations along the route. 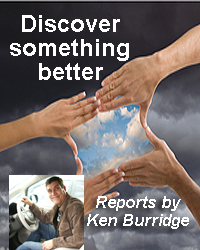 AAA motor club helps calm range anxiety of electric vehicle owners and getting EVs back on the road is the same things they have been doing for about a hundred years. AAA can come to your assistance and help get you to the nearest service stations no matter if your vehicle is powered by gasoline or electrons. 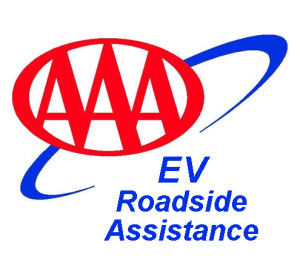 AAA plans to expand their EV Roadside Assistance service across the USA beyond the initial pilot program, which started in: Seattle, San Francisco, Los Angeles, Knoxville, Tampa Bay and Portland in an effort to keep up with a demand by AAA members for EV roadside charging. 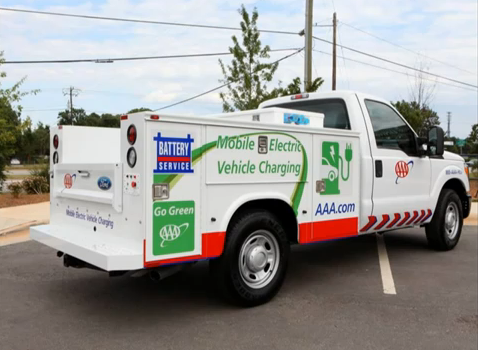 AAA will deploy mobile level 2 and 3 mobile chargers the latter of which can get EV owners back on the road after recharging in as little as 10-15 minutes. In most cases AAA will typically be supplying about enough juice to get drivers out of jam and to a charging station (something approximately equivalent to a can of gas or diesel). Tesla provides their own Roadside assistance, which is free for four years, and they will tow (via flatbed) up to 50 miles, also worth mentioning is that Tesla Model S drivers can use their Supercharger for free!